One female physician was shot to death, and six other people were wounded, five seriously, including one who was shot in the leg, Police Commissioner James O'Neill said at a news conference. 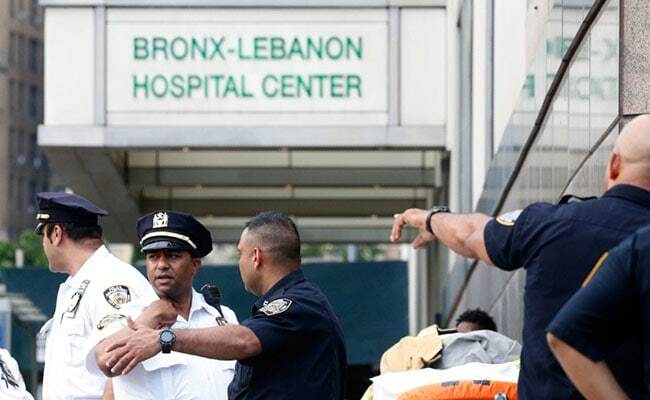 The gunman, wearing a white lab coat, stalked 2 floors of Bronx-Lebanon Hospital in New York. New York: A doctor who had lost his job at a New York City hospital opened fire with an assault rifle inside the building on Friday, killing another physician and wounding six other people before taking his own life in a burst of apparent workplace-related violence, officials said. The gunman, wearing a white medical lab coat, stalked two floors of the Bronx-Lebanon Hospital Center, in the New York borough of the Bronx, and tried to set himself on fire before police searching the building found him dead of a self-inflicted gunshot, Police Commissioner James O'Neill said. One female physician was shot to death, and six other people were wounded, five seriously, including one who was shot in the leg, O'Neill said at a news conference. Mayor Bill de Blasio characterized the shooting as an "isolated incident" that appeared to be "a workplace-related matter." He said that it was "not an act of terrorism." "One doctor is dead, and there are several doctors who are fighting for their lives right now amongst those who are wounded," de Blasio told reporters. "This is a horrific situation unfolding in the middle of a place that people associate with care and comfort." O'Neill said the gunman was armed with an assault rifle. Neither the mayor nor police immediately identified the suspect or any of the victims. O'Neill said the gunman was a former employee of the 972-bed hospital. Bronx Borough President Ruben Diaz, in an interview with WABC News, identified the gunman as Dr. Henry Bello and said he had been fired by the hospital. Other media reports described Bello as a 45-year-old physician who specialized in family medicine. WNBC television in New York, citing unnamed sources, reported that Bello had resigned from the hospital in 2015 to avoid termination. Details about the carnage were still sketchy. Authorities said the rampage unfolded shortly before 3 p.m. when the gunman went on a shooting rampage on the 16th and 17th floors of the hospital. He and the slain physician both were found on the 17th floor, while the six other victims were found on the 16th floor, O'Neill said. The incident sent waves of panic throughout the hospital, and police swarmed the building searching for the gunman. "People were running. People were afraid," said Jane Vachara, 50, a clerical associate on the ninth floor, who said she huddled with colleagues in a locker room bathroom for about an hour. "I feel terrible, I feel scared. I just want to get home and see my daughter," she said as she made her way home. Adding to the pandemonium was the gunman's attempt to set himself ablaze, which apparently triggered the hospital's fire alarm system and halted elevator service, hampering efforts by first responders to reach victims and evacuate the building. 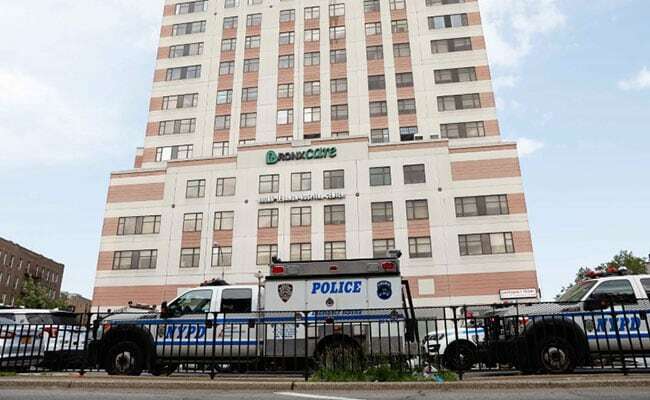 One ambulance worker, Robert Maldonado, told WCBS television in New York that he and his partner were forced to carry a bleeding patient down nine flights of stairs to safety, applying pressure to the man's wound on the way down. All six of the wounded victims were taken to the hospital's emergency room for treatment, O'Neill said. "Even in the midst of his horror, there were many, many acts of heroism," de Blasio said. "All of the personnel at Bronx-Lebanon Hospital, whose day went from normal to horrifying in a matter of seconds - the doctors the nurses, all the personnel, responded with extraordinary bravery, cool professionalism. They protected each other. They protected their patients." Bronx-Lebanon Hospital Center, located about one mile (1.6 km) north of Yankee Stadium, is the largest voluntary, non-profit health care system serving the South and Central Bronx, as well as one of the city's biggest providers of outpatient services.